We got the suggestion from a friend who recently had a baby that having muffins frozen to pull out as snacks/breakfast was a life saver for her. 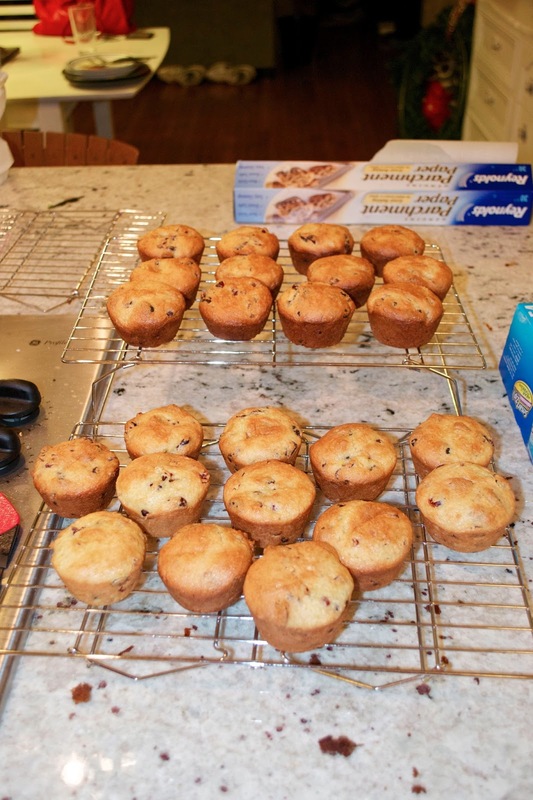 We thought that was a pretty awesome/yummy idea so the other night we busted out all of our baking equipment and went a little overboard on the muffin making. I decided to make two tried and true recipes (I made them all gluten free fyi) and two new recipes so I knew at least half of them would turn out well. The first one is the zucchini muffin recipe with some mini chocolate chips added in and the second is the blueberry lemon cake without the glazes. 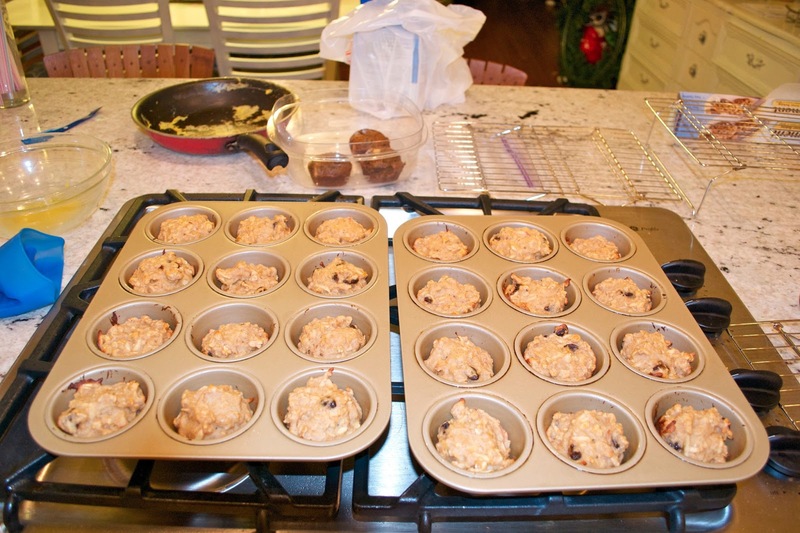 The new recipes are apple oatmeal muffins and orange cranberry muffins. Since we were making a lot of muffins, we decided to make them assembly line style. I got four bowls out and placed all the ingredients for each recipe behind each bowl (if there were common ingredients I put those behind the first bowl). 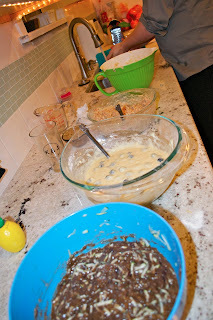 Then I read off the amount of each ingredient for each bowl to Nate as he went down the line (ex. 1 cup flour in first, 2 in second...) and then that ingredient got put away. It took some concentration to make sure every recipe got the right ingredients (especially because we started at night) but this took a lot less time than if we did them one by one. 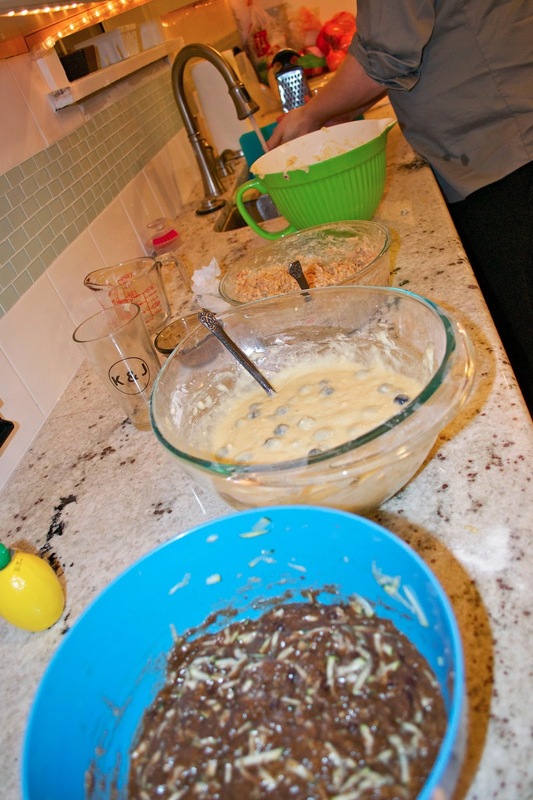 Once all the recipes were mixed up, I took over. I filled up the muffin tins and baked each type of muffin together (all recipes made 24 except the lemon blueberry ones) for about 15-20 min. And then transferred them to the cooling racks to cool for another 20 min or so. While they were cooling, I would clean the tins, fill them with the next recipe and stick those in the oven. 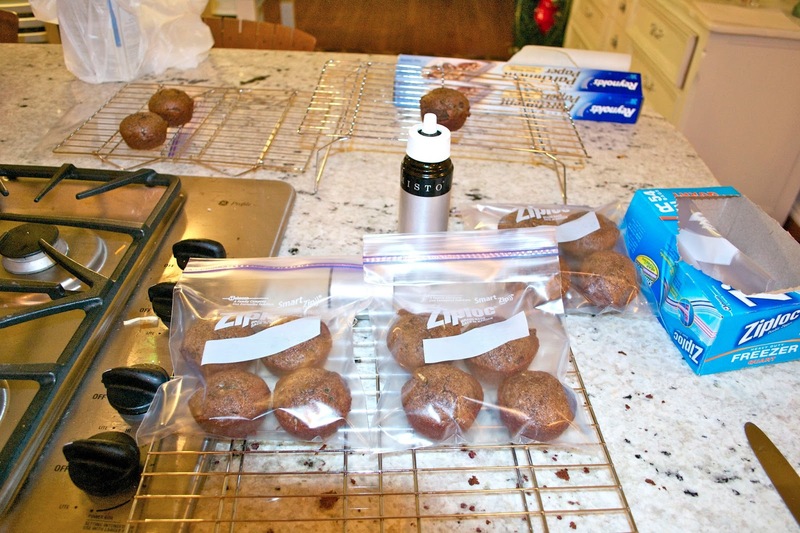 When the next set of muffins were almost done, I would put the cooled muffins in freezer bags (4 in each bag), labeled them and stuck them in the freezer. I would also test them to make sure they weren't horrible and threw a few into a tupperware bin for us to have that week. All in all we have 72 muffins now in our freezer. 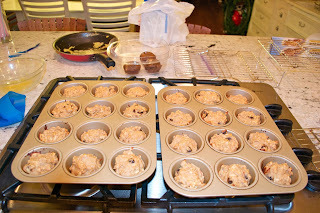 As far as the new recipes go, the oatmeal apple ones are ok but not amazing (I will definitely tweak the recipe if I make them again) but the orange cranberry ones are AMAZING. Honestly, they are the best ones of the 4 recipes we made. I'll definitely be posting the recipe soon. 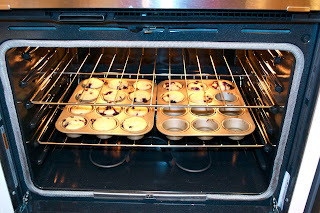 As far as this process, I loved how we produced so many muffins but I would definitely start this during the days since the last batch wasn't finished cooling until about 12:45 in the morning. 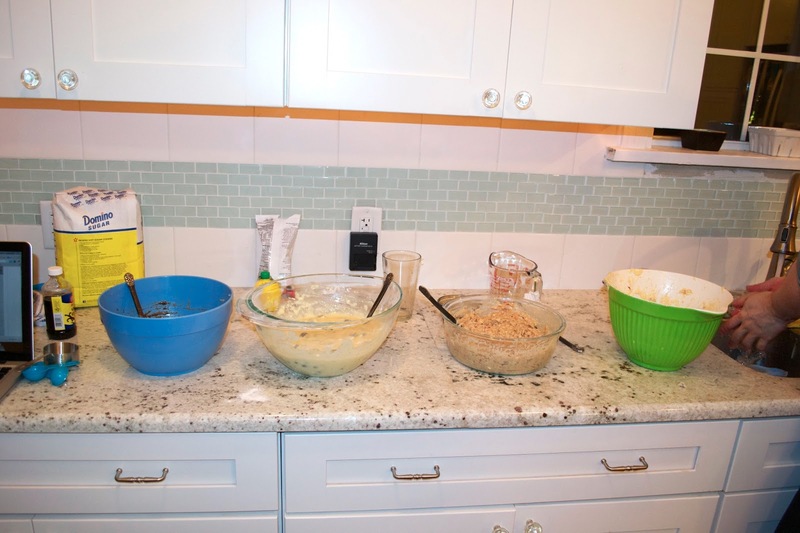 Other than that, it was definitely worth having two people around for the ingredients process so that all of the recipes got the correct ingredients. Now the goal is to not eat them until the baby comes!